Willy Wonka is semi-sweet and nuts. 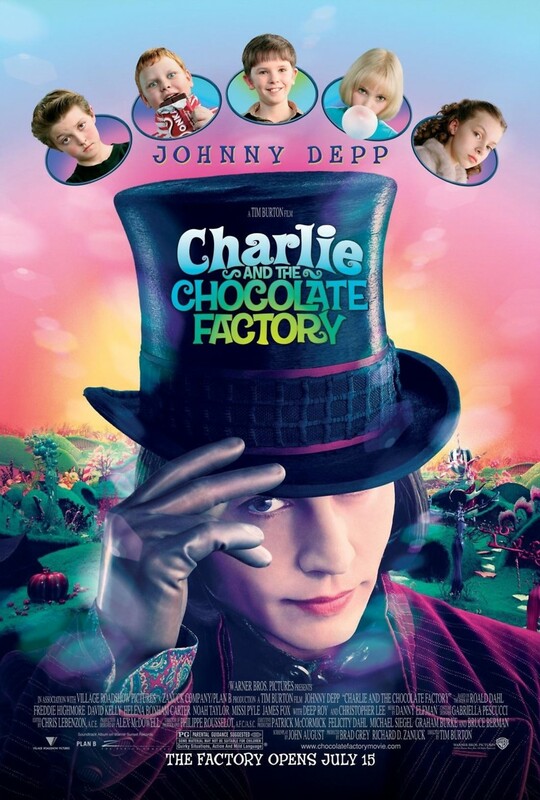 Based on the book by Roald Dahl, while visiting the chocolate factory of the eccentric Willie Wonka, five children get a chance to receive five golden tickets, each wrapped within a candy bar. With the winners to receive a tour of the factory plus chocolate forever, chaos ensues as the children scramble to get the tickets. Charlie Bucket, a child from a poor family, who dreams about precious chocolate, wins the fifth ticket and the opportunity to explore the fantastic factory with his grandfather. Amazed and awed by the machines and chocolate, things begin to go awry, and their visit does not go as planned. Along with the much naughtier children, Charlie gets a chance to meet the Oompa-Loompas and vies for a mysterious prize.